Well it’s been a few weeks since we launched Bino and Fino. It has been very hectic. The best thing so far is having the opportunity to meet parents and kids in person. I am currently in London and we have had several screenings of the Bino and fino cartoon. One was a cinema screening of Bino and Fino as part of the Images of Black Women Film Festival which was a great event. It was arranged by Tony Warner of Black History Walks with the founder of the festival Sylviane Rano as part of an African animation Forum. They also showed the wonderful Cuban inspired animation Chico and Rita. I was able to meet parents and children. They received the episode of Bino and Fino they saw very well. They even gave it a little round of applause! 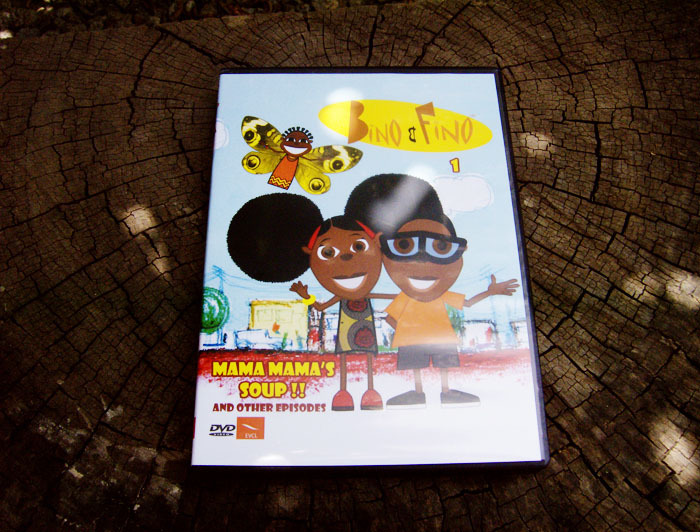 J I’ve always known that there’s a market for well made African cartoons for kids. Why wouldn’t there be? But it’s always nice to see it confirmed face to face by kids and parents. Posted on April 20, 2011 by Adamu Waziri and filed under African kids cartoon, Black Kids Cartoon, Thoughts and Views and tagged Black Kids Cartoon african cartoon characters black cartoon characters. 1 More Day and a New African Cartoon Family is Born! One more day to go until Bino and Fino goes on sale online! We’re really excited about it and can’t wait for your kids to get their hands on the new episodes showing these great new African cartoon characters. Posted on March 30, 2011 by Adamu Waziri and filed under African kids cartoon, Black Kids Cartoon, News and tagged Africa African American Black Kids Cartoon Children african parents. Here's an update about what stage we are on the production of the Bino and Fino African Cartoon DVD. Posted on February 15, 2011 by Adamu Waziri and filed under African kids cartoon, Behind the Scenes, Black Kids Cartoon, News, work in progress and tagged Africa African American Black Diaspora Black Kids Cartoon Cartoon Diaspora.